Silver Sixpence is Wanaka and Queenstown's only beauty bus of its kind. ​Our team are highly praised for understanding our clients needs and provide a wide range of solutions in the fully equipped Beauty Bus. ​Professional, spa quality treatments, makeup, hair and massage therapy are brought to your location for a complete beauty experience. 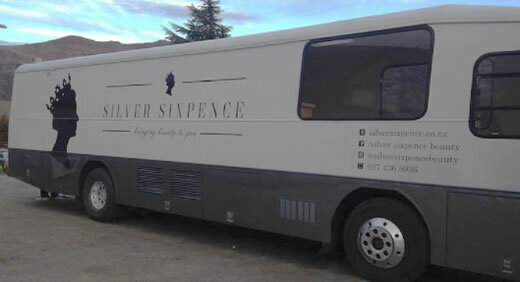 If it’s your wedding day, a special event, or you live remotely and would like the spa to come to your group, the Silver Sixpence Beauty Bus is for you . Check out our website for more information or give us a call.